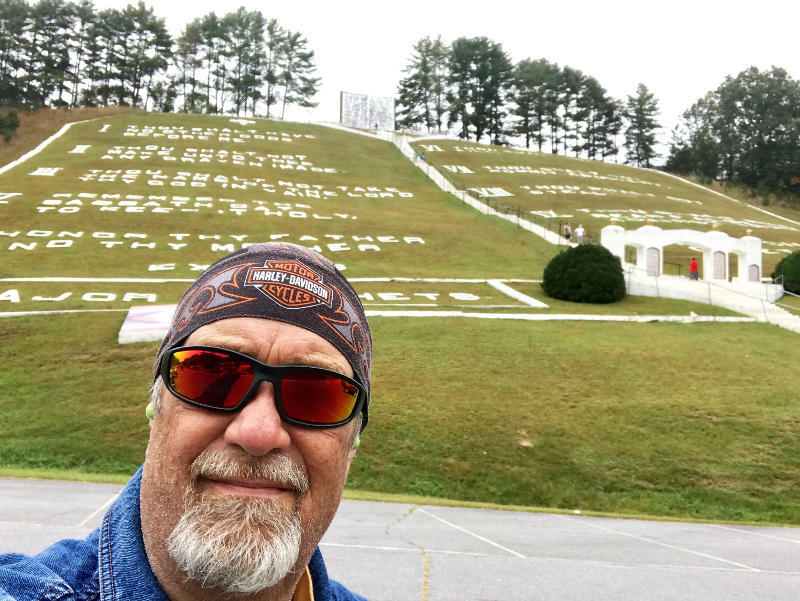 Murphy, NC — While riding through the beautiful Smoky Mountains last weekend, we came upon an interesting park. 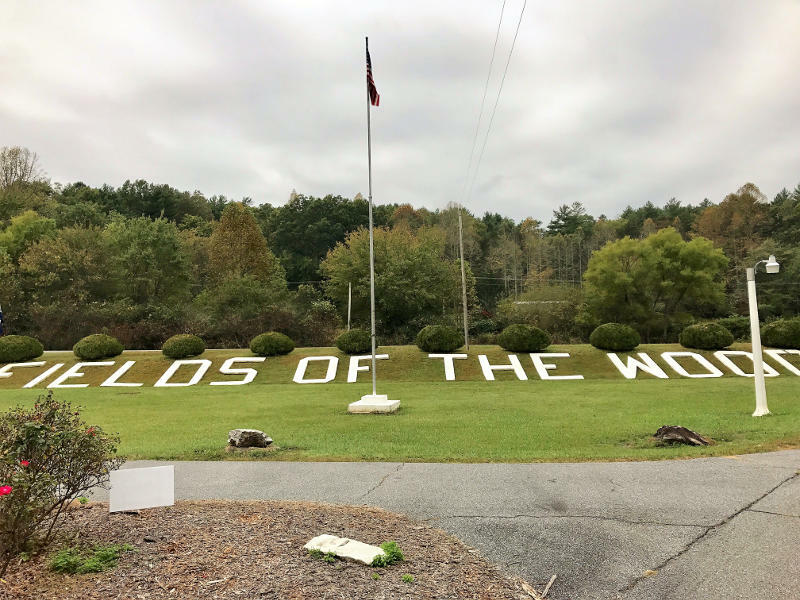 It’s a religious themed facility named, Fields of the Wood, located in Murphy North Carolina. As we were riding by, we decided to pull in and take a look. Fields of the Wood is a biblical theme park that covers more than two hundred acres of beautiful valleys, mountains, streams and wooded areas. Concrete markers are placed throughout the park depicting the Bible on stones in one of the most unique ways found anywhere. As we entered the park, there was a sort of “calm” that overcame us. It was quiet, even though the noise of our motorcycles could be heard, when I dismounted, it was so calm and quiet. Fields of the Wood is managed by Heritage Ministries, which is a department of the Church of God of Prophecy. 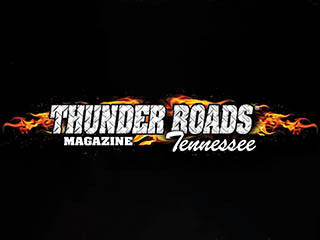 This beautiful outdoor theme park is located over 200 acres of land at the foothills of the Smoky Mountains. As we move further into the park we see the Arise Shine marker, the Psalms of Praise, a Baptismal Pool and the Garden Tomb, all dominate the lower part of the mountain. What caught my eye was the ten commandments laid out on the side of the mountain. You can walk up the side of the mountain to get a beautiful view of the facility from above. The Arise and Shine Marker identifies where the work of restoration of the Church of God continued in the early part of the twentieth century. twenty-nine feet in length, fourteen feet wide, and five feet deep. Two marble and concrete markers stand guard at both ends of the pool declaring and explaining the need and importance of baptism. You must follow the trail to the mountain of flags located towards the back of the park. 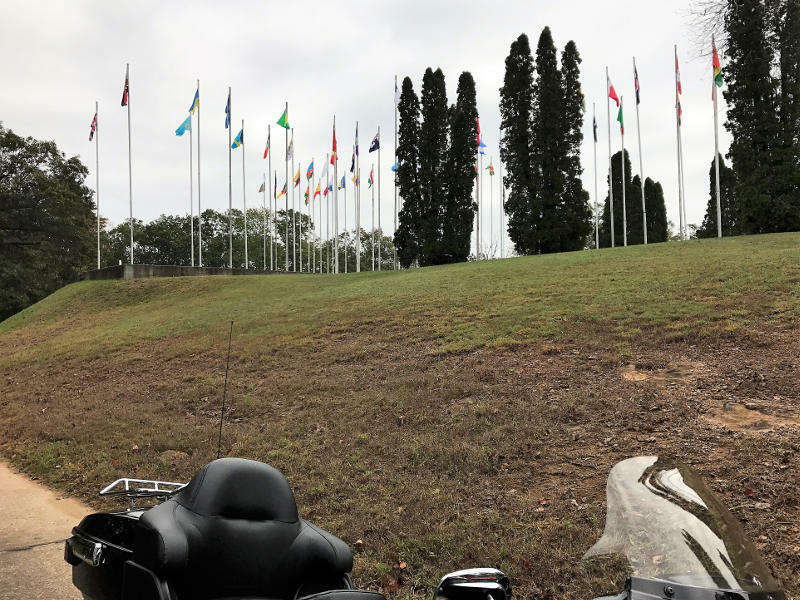 A great place to show off the flags that represent the people of God. There’s a gift shop and donations are accepted. The facility runs on donations and anything is appreciated. We rode in and took our bikes to the top of the mountain to soak it all in. There aren’t any games, or rides, but taking a few minutes to walk around this park is worthwhile. If you’re a person of faith, you can appreciate what’s been done. People come to just sit and relax. Others come to pray. Regardless, it stands out in the crowd when passing by. I can’t say it’s a “destination” park, but I’m glad I saw it and wish them well.